carriers and access to specialty markets that protect your employees, your business and property. 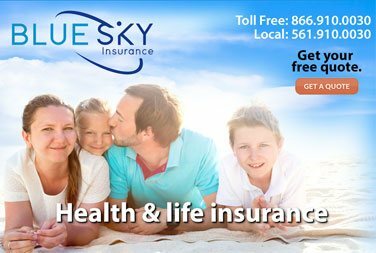 Blue Sky Insurance® is pleased to provide full coverage for your business through Florida group benefits policies or other commercial and business insurance policies. We have relationships with over 70 top admitted carriers, and have access to specialty markets. 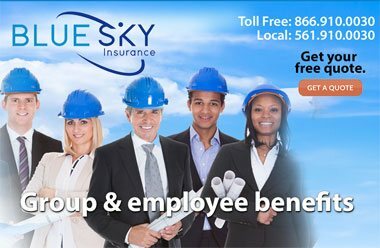 Commercial business insurance policies provide a tax benefit to you company while also securing quaified employees. 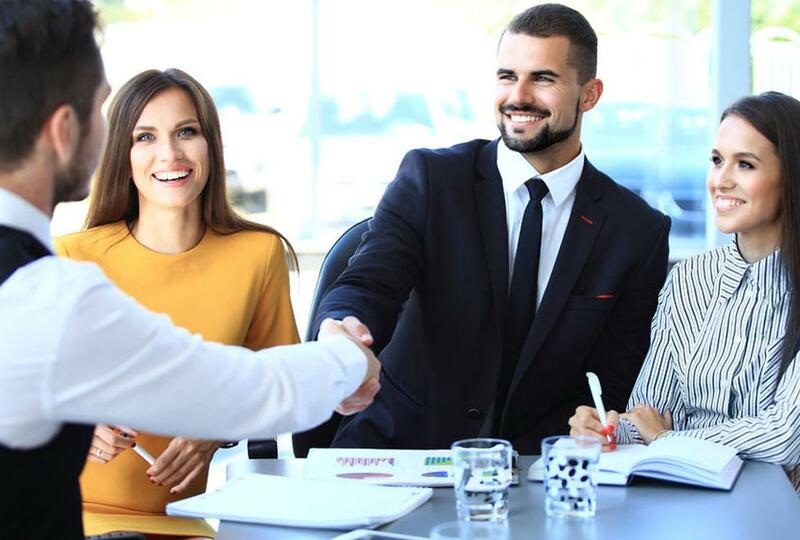 We believe that transferring risk to an insurance company is often the most efficient way to protect your corporate assets and human resources. 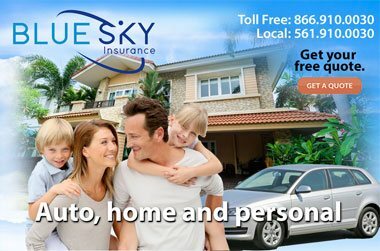 Florida's extreme climate conditions and tourism market present businesses with unique liability and loss risks which we address with every business client along with how to provide the best insurance for your employees within your budget. No matter what business you’re in, each workday is dedicated to doing your job well and providing your customers with the best service possible. We are committed to keeping your business protected – so you can focus on your day-to-day operations. And with the right insurance plan, your business will be covered from top to bottom. General Liability: Coverage against third party liability claims arising from your premises, products, operations, or advertising. Commercial Property: Florida commercial property insurance protects your business against physical damage to, or loss of, your assets, including the area of operation and property housed there. In the case of catastrophes like fire, explosion, theft, or vandalism, a commercial property insurance policy helps cover your costs - whether it's to repair damaged property or replace what you've lost. Worker’s Compensation: Required by law, Florida worker’s compensation covers employees who experience work related illness or injury. Directors and Officers Liability (D&O): Protects the personal assets of the directors & officers from suits alleging wrongful acts such as negligence, defamation, unfair trade practices, breach of contract and fraud brought by employees, shareholders, customers or suppliers. Employment Practices Liability (EPLI): Liability insurance for employers that covers wrongful termination, discrimination, or sexual harassment toward the insured's employees or former employees. Errors and Omissions (E&O) / Professional Liability: Coverage for damages arising out of the insured’s negligence, mistakes, or failure to take appropriate action in the performance of business or professional duties. Vehicle coverage: Florida commercial auto insurance covers your commercial vehicles and fleets of trucks. Learn more about buying a commercial auto insurance policy. 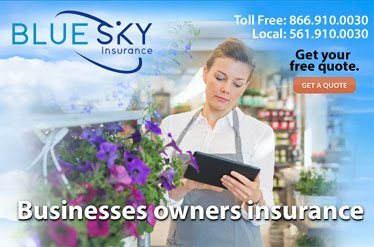 Contact Blue Sky Insurance insurance agency in Boca Raton at 866-910-0030 to let our business insurance agents help you put together a commercial or business insurance plan for your company. Also take the time to educate your executive staff on the how Florida Group benefits policy helps your business.